Villanueva will take over as acting Representative for the 21st House District but will have to run for re-election in the next election cycle. 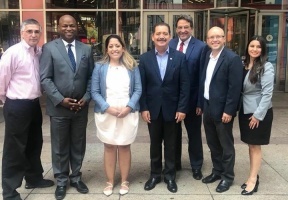 Villanueva vowed to work hard to represent the interests of all of the voters and residents of the 21st Illinois House District and to work with all of the district’s Democratic leadership. 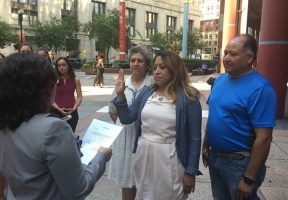 Working with the ICIRR, Celina has helped to expand voting rights through her efforts on Online Voter Registration, Election Day Registration, and most recently Automatic Voter Registration, all of which are now law in the land of Lincoln. When she’s not busy trying to change the world into a place where we can all live openly, freely and safely, Celina is an avid reader, lover of musicals, dancing and a great brunch. A born and bred Chicago girl, Celina graduated with a B.A in Latina/Latino Studies with minors in African-American Studies and Spanish from the University of Illinois at Urbana-Champaign.